PokerStars and California’s San Manuel tribal nation have jointly announced that the powerful San Manuel band has joined a growing coalition that hopes to unite all pro-gaming and pro-online-poker interests in California in the hopes of overcoming strong opposition and finally bringing formally regulated intrastate online poker to the Golden State. The growing pro-PokerStars California coalition naturally includes PokerStars, the world’s largest online poker site, which has been targeted by other California tribal interests hoping to declare the online giant a “bad actor,” and thus deny it access to what would be, if legalized, the United States’ largest single-state online poker market. The leaders of the fight against PokerStars were an ii-tribe coalition spearheaded by the Pechanga and Pala tribal nations. The San Manuels, formally the San Manuel Band of Mission Indians, were also formerly a member of that anti-Stars coalition, but have instead sought a more cooperative approach in the hopes of achieving legalized online poker in the state in 2015. The San Manuel nation will now join with the Morongo Band of Mission Indians and three prominent Los Angeles card rooms — Commerce, The Bike and Hawaiian Gardens — in working with PokerStars to help convince legislators to draft online poker legislation that can be supported by all of the state’s pro-gaming interests. Today’s announcement also continues a time-honored PokerStars tradition of making important news announcements in conjunction with major upticks of interest in other news in the poker world — in this case, tonight’s conclusion of the World Series of Poker main event in Las Vegas. Addition of San Manuel reflects “new day” where gaming interests must work together in order to finally pass online poker legislation in California. Sacramento, CA, November 11, 2014 – The San Manuel Band of Mission Indians announced today that it has agreed to join the existing business agreement between the Morongo Band of Mission Indians, California’s three largest card clubs – the Commerce Club, the Hawaiian Gardens Casino and the Bicycle Casino – and the Amaya Gaming Group, which owns and operates PokerStars. 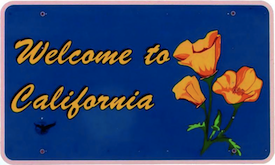 These gaming operators will join together to operate a licensed online poker site in California once legislation is enacted to authorize iPoker. This coalition will also work together to advocate for legislation that extends California’s tough, long-established gaming regulations to include intrastate online poker.